Our Information Security Maturity Assessment program helps in optimizing your Cyber Security with the right security strategies. Affordable information security can be a success only if your organization’s system risks and security maturity are evaluated effectively. Managing information security by best practices and strategy can improve overall Information Security State. Protect your information assets from being a victim to cyber-attacks and full compliance in PCI DSS. The Aim of the Cyber Security Maturity Assessment ( CSMA ) is to provide an overview of your current cyber security state, an objective review of existing plans, and a guide to right strategic security plan. What is Information Security Maturity Assessment? The ISMA utilizes both quantitative and qualitative analysis thereby enhancing the PCI DSS to ISO or IEC 27001 mapping. It focuses on enhancing the quality of process, people and technology that helps organizations identify the weakness and voids and evaluate the key success factors. ISMA is easy to use and can be applied to various organizations regardless of their size. 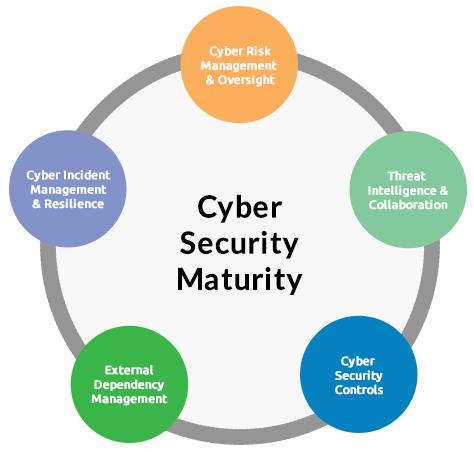 How Cyber Security Maturity Assessment Works? The Cyber Security Maturity Assessment emphasizes on particular measures that protect very important assets, IT infrastructure, apps, and data by evaluating your company defensive posture. This evaluation also focus on operational best practices for each control area, as well as the organizational effectiveness and maturity of internal policies and procedures. The CSMA can be custom fitted to line up with a few distinctive perceived cyber security control sets and structures in view of your association’s objectives, industry, and development level. Your appraisal will be directed by our inhabitant Advisory Services specialists, who normal more than 20 long stretches of involvement crosswise over various zones of security and compliance; this guarantees your arrangement bodies well for your association’s needs. But what does the Information Security Maturity Assessment actually requires? Our Cyber Security Maturity Assessment is classified into the three levels and consists of face to face discussions, phone calls or visual conferences, and a detailed review of all policy documents along with operational procedures. We give our 100% to be highly efficient: Help us by being prepared to answer questions that span people, processes, and technology (with the focus being on people and processes). We will discuss in details about the architecture, strategy, risk and plan to formulate a comprehensive view of your security environment. • Report with an executive analysis and score on security maturity level. • A Security plan for your organization. • Key tactical and strategic recommendations. • Observations by the Security consultants. • Identified risk gaps and focus areas to enhance security. The report is intended to address the highest impact and risk areas, and give your subject matter experts detailed information for implementation within your organization. We provide Information Security Maturity Assessment services to identify gaps & risks in your cyber security plan. We helps in identifying the current Security maturity level and improving the score. eSec Forte Technologies is an CMMi Level 3 | ISO 9001:2008 | ISO 27001-2013 certified Cyber Security Company and IT Services Company with service offerings in Information Security like VAPT Services, Penetration Testing Services, Vulnerability Assessment Services, Amongst our clients we proudly count Government Organizations, Fortune 1000 Companies and several emerging companies. We are also Value Added Partners, Authorized Resellers & Distributor of Leading Security Audit & Testing Tools. We are headquartered in Gurugram, Mumbai, Delhi, Bangalore – India & Singapore. Contact our sales team @ +91 124-4264666 you can also Drop us email at contact@esecforte.com for Information Security Maturity Assessment and Security Audit Services.